Lawrence University student musicians captured the top two places at the recent (3/8) 2014 Wisconsin Flute Festival Collegiate Competition hosted by UW-Oshkosh. Juniors Caitlynn Winkler, a flute performance and music education major from Sheboygan, and Sam Rolfe, a flute performance major from Boscobel, earned first- and second-place honors, respectively. 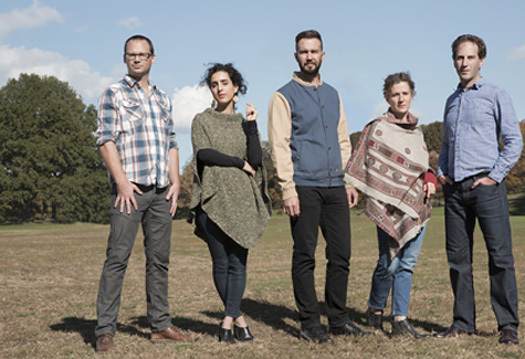 They were among three finalists selected from an initial pool of nine entries. The competition is open to undergraduates enrolled in a Wisconsin college or university. Rolfe performed “Cinq Incantacions pour Flute Seule” by Andre Jolivet, “Sonata for Flute and Piano in E Major” by Johann Sebastian Bach and the world premiere of “Clockwork Koan” a piece written by Lawrence senior Chris Harrity as part of the flute and composition studio flutist/composer collaboration project. Winkler received $250 for her winning performance while Rolfe was awarded $100. 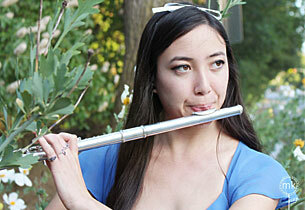 Both study in the flute studio of Assistant Professor of Music Erin Lesser. As part of the festival, senior Schuyler Thornton was selected to play a masterclass with guest artist Stephanie Mortimer. The Lawrence Flute Ensemble was one of three groups selected to open the day-long festival as part of a flute ensemble showcase, performing three works, including a new work by Lawrence Associate Professor of Music Joanne Metcalf. Lawrence University sophomore Leo Sussman earned first-place honors in the recent Wisconsin Flute Festival Young Artist Collegiate Competition in Madison. 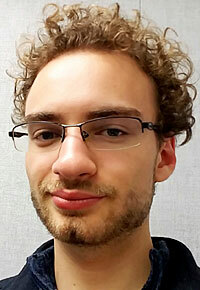 Sussman was one of three flutists who performed a 15-minute program of his choosing in the finals held at the Pyle Center at the University of Wisconsin. Finalists were selected based on a previously submitted unedited recording of two contrasting movements from John La Montaine’s “Sonata for Flute Solo, Op. 24.” Sussman received $300 for his winning performance. This was his second competition win as a Lawrence student. Last July, he won the San Francisco Flute Festival in his hometown. A double degree candidate pursuing majors in flute performance and physics, Sussman is a student in the studio of assistant professor of music Erin Lesser. The Wisconsin Flute Festival, sponsored by the Madison Flute Club, is an annual flute event featuring competitions, workshops and performances by a variety of professional flutists.